This entry was posted in Featured DVD of the Week on November 2, 2009 by Nancy. Screenplay by Budd Schulberg and featuring Andy Griffith, Patricia Neal, Walter Matthau, Anthony Franciosa, and Lee Remick. Griffith is a force in his role as Lonesome Rhodes — a guitar playing hillbilly who, with the support of Neal as a television reporter, gets a get out of jail card to become an overnight television sensation. His philosophizes, he connives, he becomes too powerful — as he comes close to dominating a political faction. Sound familiar? This entry was posted in Featured DVD of the Week on October 27, 2009 by Nancy. 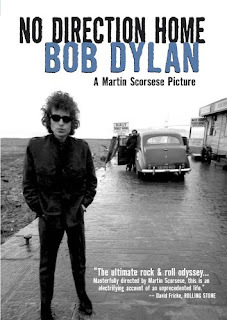 An honest documentary, sympathetic, perceptive — a chronicle of Bob Dylan’s evolution between 1961 and 1966 from singer to protest singer to rock star. Running time of 225 minutes, originally broadcast on the PBS program American Masters in 2005. Pair it with D.A. Pennebaker’s Don’t Look Back (1967). This entry was posted in Featured DVD of the Week on October 19, 2009 by Nancy. Based on the Pulitzer Prize winning play by Robert E. Sherwood and starring Raymond Massey as Lincoln and Ruth Gordon as Mary Todd Lincoln. See the New York Times Review. This entry was posted in Featured DVD of the Week on October 12, 2009 by Nancy. The Copyright Advisory Office is a service based at Columbia University to address the relationship between copyright law and the research, teaching, and service activities of the university. The website provides information on fair use and appropriate uses, permissions, and general information on copyright and libraries. This entry was posted in How to... on October 12, 2009 by Nancy. Interlibrary Loan or Borrow Direct? The Interlibrary Loan Department has published a useful guide outlining the differences between the two services for requesting materials not currently available from Columbia University Libraries. Please note that Borrow Direct is primarily for books and music scores. For DVDs and other non-print media, please use Interlibrary Loan. Link to Interlibrary Loan Request It or Borrow Direct. This entry was posted in How to... on October 6, 2009 by Nancy. This page outlines options for citation management here at Columbia. This entry was posted in How to... on October 1, 2009 by Nancy. This DVD version was released by Milestone Film and Video. Click here for more information about the film. This entry was posted in Featured DVD of the Week on September 29, 2009 by Nancy. Thanks to the folks at Media Resources Center, UC Berkeley, for putting together this style sheet on how to cite film, video, and online media. Link to the guide here. This entry was posted in How to... on September 29, 2009 by Nancy. 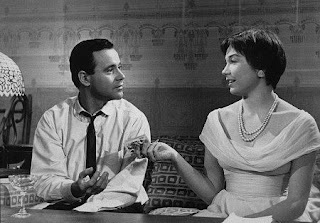 Following his delightfully hilarious Some Like it Hot (1959), Billy Wilder directs Jack Lemmon, Shirley MacLaine, Ray Walston, and Fred MacMurry in a bittersweet romance and comedy — a story of trying to get to the top, revolving doors, and love. This entry was posted in Featured DVD of the Week on September 21, 2009 by Nancy. Welcome to Features & Shorts -- the long and the short of researching film studies and performing arts. Features include: Featured Film of the Week -- highlighting new acquisitions from the Butler Media Collection. Featured Resource -- highlights either a subscription database selection or website. Shorts include: Suggestions for research.